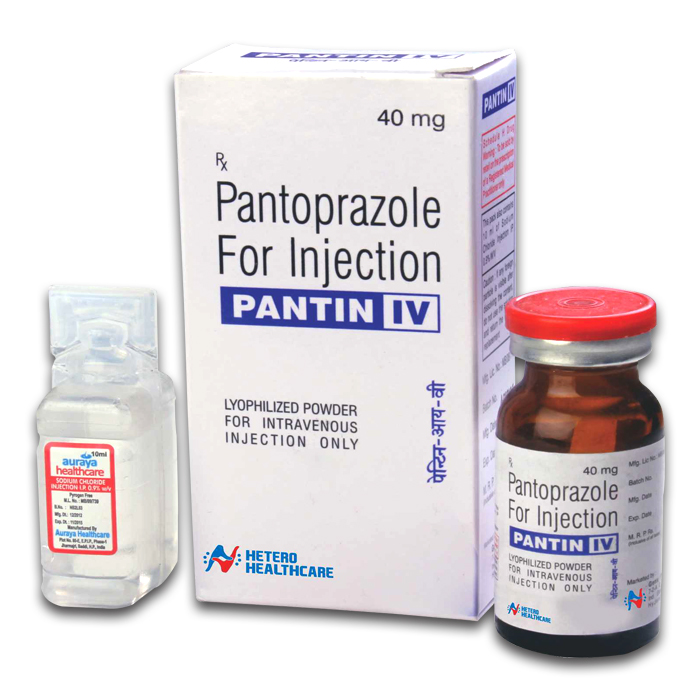 Pantoprazole is a substituted benzimidazole sulphoxide which irreversibly binds with proton pump (H+/K+ ATPase pump) and shows pronounced and long-lasting reduction of gastric acid production. Pantoprazole does not decrease the anti-platelet efficacy of Clopidogrel and is safe in cardiac patients as well as in long term treatment. Pantin 40 MG Injection is used in the treatment of inflammation and severe ulcers of the esophagus caused by chronic acidity.